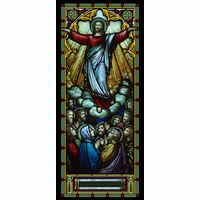 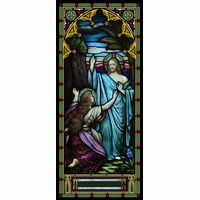 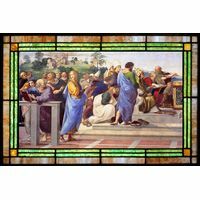 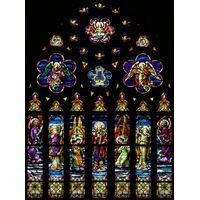 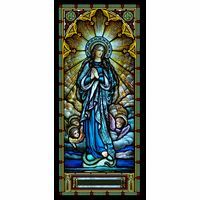 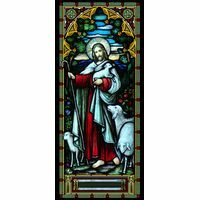 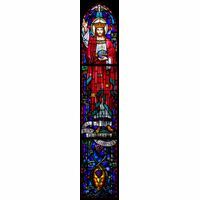 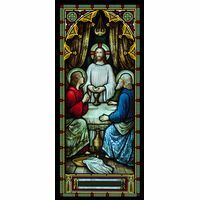 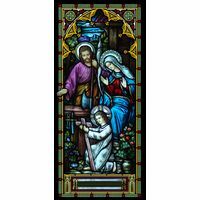 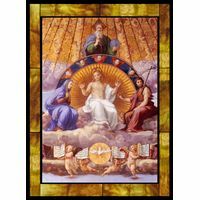 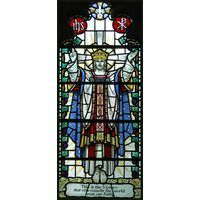 Inspired by a traditional Christian art, this stained glass panel combines beauty with a powerful message. 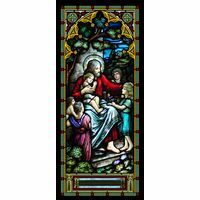 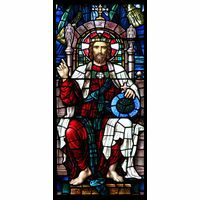 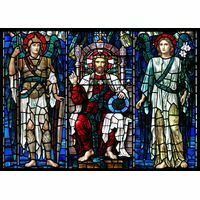 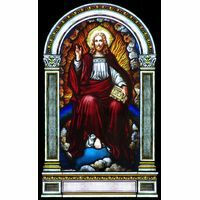 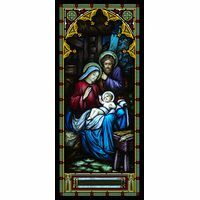 Jesus carries a lantern to signify that He is the Light into the World in this shining stained glass panel. 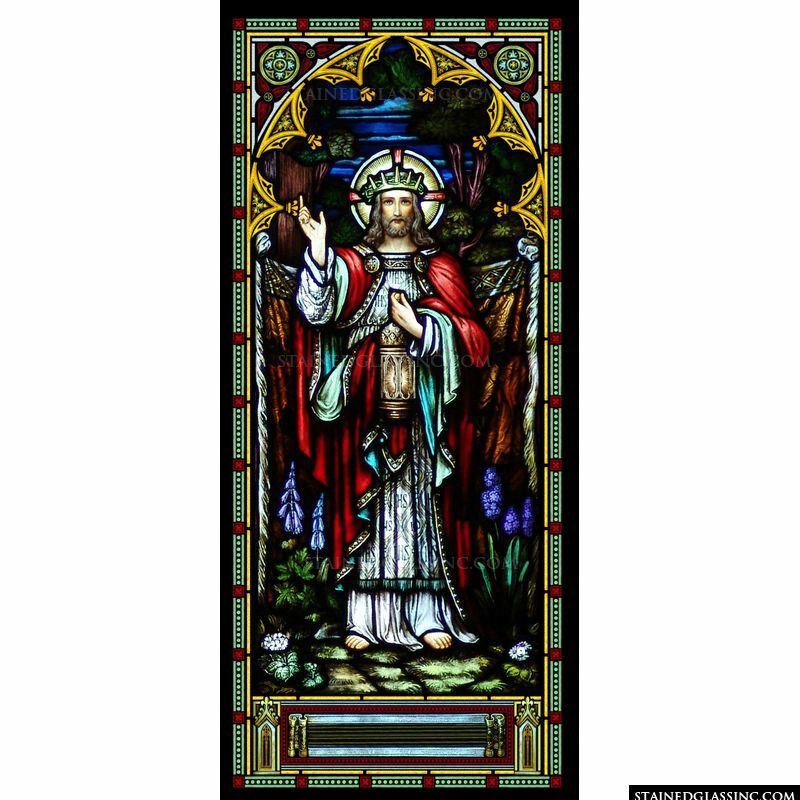 The beautiful border and dedication box add depth and extra color to this stained glass masterpiece.